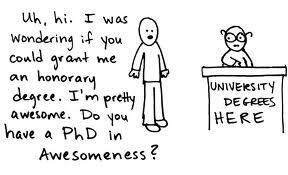 The Fast I Choose: I Am a Person of Worth...Even without a Ph.D. I've realized something recently. Sometimes when I think about my future, especially in terms of what other degree(s) I could get beyond an M.Div., my perceived self-worth is in the balance. What's worse is that I (unconsciously and against my will) nuance it by assigning values to different post-master's options. I do not do this in a vacuum, but at heavy suggestion from institutions, especially my own beloved Duke University. A Ph.D. is best, a Th.D. almost as good, a Th.M. is OK but probably no one cares, and I've actually listened to people I respect openly mock the D.Min.—and I've internalized that. I want to shake my fist at the academic elitism that has always been on the fringe of my consciousness and has affected me more deeply than I probably realize. A Th.D. or D.Min. would be far better suited for me. At this point, I feel strongly called to parish ministry—whether in a traditional pastoral role or doing something a little out of the box, I'm not sure, but any degree would have to serve that ministerial end. The Th.D. and D.Min. programs I've looked at provide some incredible avenues for bringing together theological exploration and contextual ministry. And then there's the part of me that often thinks I'm simply not called to go beyond my master's degree. And that scares me. Why is that? Well, I want to write, I want to be engaged in theological conversation, and I fear not being taken seriously because I lack the "Dr." in front of my name. I fear not being considered special. I fear being just another pastor. That's downright prideful. I'm cringing just reading those last two sentences. But I seriously struggle with this. I don't think about it consciously until I, you know, think about it consciously. But there is a part of me that wonders if people will be disappointed in me if I don't continue my education—or, worse, that no one will care or notice if I don't. I honestly sometimes have to remind myself that I am a person of worth no matter what degrees I have to my name. It's easy enough to figure out where this comes from. I grew up in a high-achieving family and started doing well in school early on. I was placed in classes two years ahead of my grade level with all the other high-achieving kids starting in middle school. I went to Duke and finished a semester early. A lifetime of encouragement and praise has left me terrified I won't live up to it all. I have to repent. I repent of wanting good grades. I repent of wanting human recognition and human love. I repent of wanting something that is "mine". I'm not going to finish a program in the Divinity School and refuse to die to self at the last. Someone else may have it -- all of it: prizes, accolades, proud parents, loving spouses, happy families. I renounce any claim, any stake in this world. I think I need to print that out and read it aloud every morning. My anxiety about my academic future is based completely in fear and pride. I rebuke that. I rebuke my greedy desires for achievement and recognition. Even if I am called to pursue a doctorate, the only way I can do so with any vocational integrity is to get to the point where I no longer need it for myself. Lord, lead me. If your plans for me include more school, I'll put in the work necessary. If May 2012 marks the end of my academic career (though never my learning journey), so be it. Remind me that I am your child, and no degree or accolade could ever merit or compare to the assurance of your embrace.